Summer is almost here! Time for all those “get in shape” new years’ resolutions to finally pay off. From eating watermelon, to working on your tan line, to pruned fingers restoring, to home-run ball catching, to whatever other summer activities your little heart desires—now is the time for all the fun we have been waiting for! But being the fitness enthusiasts we are, we can’t let all those barbecues catch up to us and continue to stay active throughout the summer. 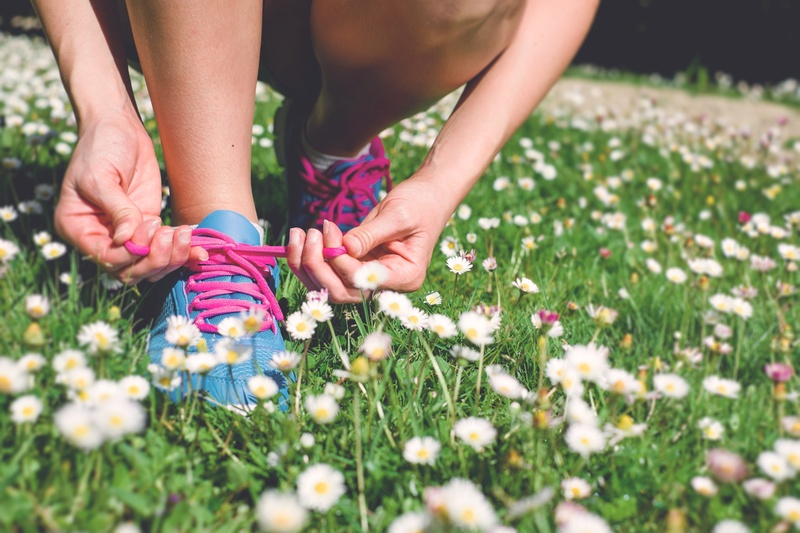 With catching rays being a top priority for many throughout the summer, why not take advantage of the warm weather to enjoy an outdoor workout. Especially here in the Berkshires, Zogics’ home, there are so many opportunities to enjoy life outside the office walls. So, we have rounded up some great outdoor workouts you can finally try now that summer is officially here. Do you need more convincing? Research shows that those who spend more time outdoors report higher commitment to exercise and lower levels of depression. Why not give it a try! 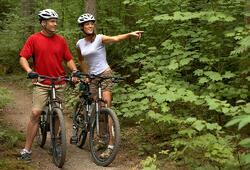 Go on a bike ride - biking is a great way to get outside, enjoy some scenery and get fit! Whether you’re ready to ditch your car on the way to work or simply want to take a short ride around the block, biking is a great way to get moving and improve your strength and cardiovascular health. As an avid cyclist, Paul loves to go for evening bike rides. 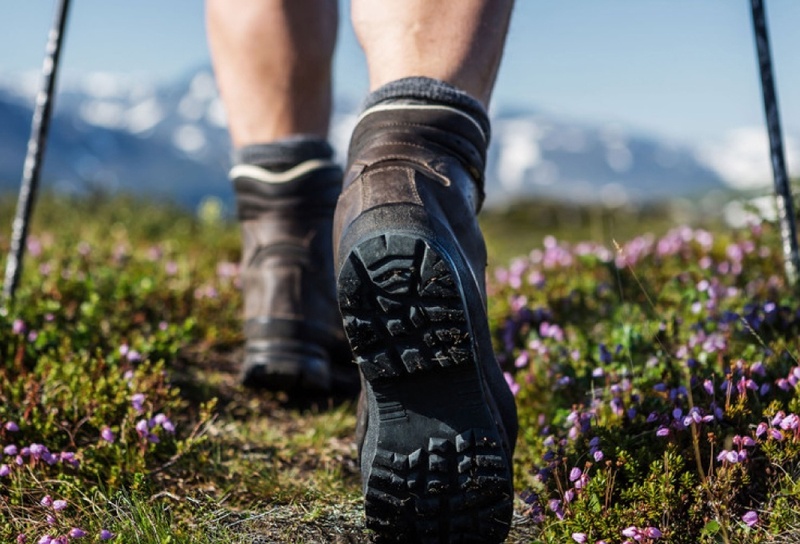 Get off the treadmill and take a hike! The terrain proves to be more difficult, rather than running endlessly on a continuous belt. Being in the sun will also increase the intensity of your workout, making you sweat more. Hiking is more of a challenge, leading to better results! Jeff enjoys hiking on the Pine Cobble Trail – part of the Appalachian Trail. Go for a swim - swimming is not only a great way to cool down, but also to exercise. Rather than lounging in the pool for hours, take advantage of the space and swim a few laps. There are even aquatic weights available to make even more of your pool workout. 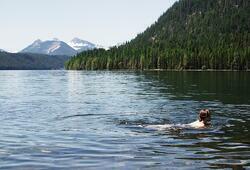 Abby loves to cool off and get some exercise in Pontoosuc Lake, right across the street from where she lives! Relax and do some yoga. 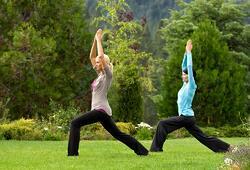 Stress can wreak havoc on our minds and bodies - an outdoor yoga workout is the perfect stress reliever. Find a quiet field or riverbank somewhere with your yoga mat and stretch it out. Yoga rejuvenates the mind and the body, leaving you feeling more relaxed and able bodied. McKensie enjoys going to yoga classes at the local YMCA as often as she can. Quit the routine and simply play! Find some friends to play a pickup game of soccer or basketball, take your dog to the park or lake, or set up an obstacle course for the kids. Running around and having fun is the best way to exercise and spend time outdoors! 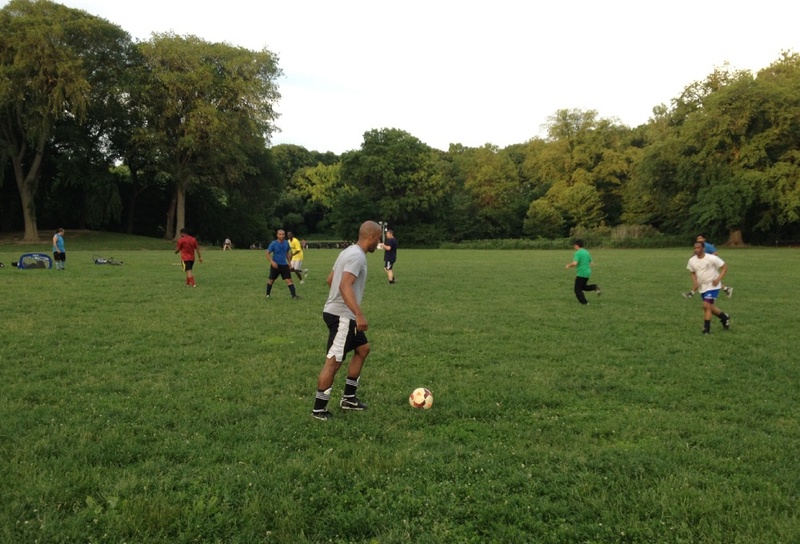 Craig and his family take their 3 dogs to the park regularly to blow off all their energy! Sunny summer days are no excuse to dread or simply skip the gym. Instead, embrace the warm weather and take your workout outside! summer and summer only lasts so long, so make the best of the opportunity to change up your gym routine and enjoy an outdoor workout. It doesn’t take much to work up a sweat out in the sun, so get moving, and most importantly, have fun!